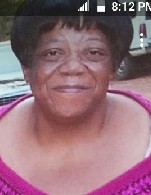 Celebration of life services for Mrs. Barbara Jeanette Dupree, 68, will be 2 p.m., Saturday, October 27, 2018 at Mt. Zion B.C., 973 Mockingbird Lane, Plain Dealing, La. Interment will follow at Caldwell Cemetery, Plain Dealing. Open visitation will be Friday at Heavenly Gates.